Welcome to my second #WinningWeekend linky. The idea is link up any blog competitions you may be running, and more people will see your competition and enter. 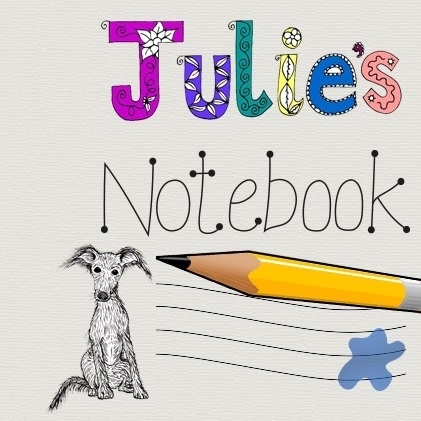 It also means followers of Julie’s Notebook have a few chances to win each weekend! In fact I won two prizes from the competitions linked up last week. The “rules” will be simple, linky up a competition from your own blog or a friends blog (and host a badge if you want to). That’s it! You don’t have to comment, you don’t even have to enter anyone else’s contests and competitions. Just linky up. Pretty please make sure you only linky up competitions/contests is open to the UK and will be open until Monday or later. If you have a competition that runs a few weeks, pop back next week if you like. How About an Online Raffle for #MMskydive ? The lovely Sarah from Life in a breakdown blog is co-hosting a big blogger giveaway. It is being run across several blogs, with the main aim being to get new people to follow them on BlogLovin’. The prizes are gift cards / gift codes for Etsy, Amazon, Paypal and Target. The target prize isn’t open to the UK but the terms state you can have it as Paypal instead if you are in places like the UK where target doesn’t exist. This competition ends on 3rd April 2013. It is split into 4 different Rafflecopters, and if you followed every single blog and pintrest would take you hours, my advice just choose one blogger per rafflecopter group and follow them.There are thousands of entries but you’ve got to be in it to win it as they say. Good luck if you enter.